– Independent rear suspension (but you knew that). – A 3.7L V6, 5.0 V8. 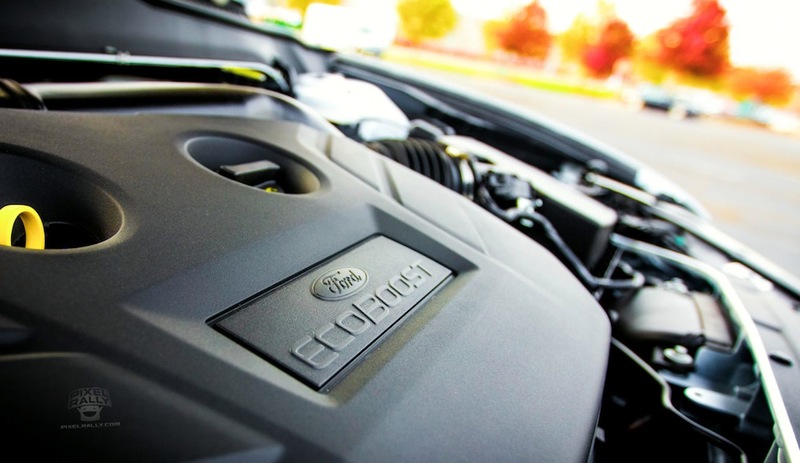 The new 2.3L Ecoboost I4 is said to make roughly 270 horsepower. – The SVT Cobra will have a 5.2L naturally aspirated V8 with no engine cover. The reason for that is because the new styling (and Euro safety regs) mean a supercharger is not feasible as far as fitting under the hood goes. Photographers have spotted the first FULL 2015 Mustang s550 prototype. Until now, we have seen modified s197 bodies on top of s550 chassis, so this is the very first viewing of the s550 body. 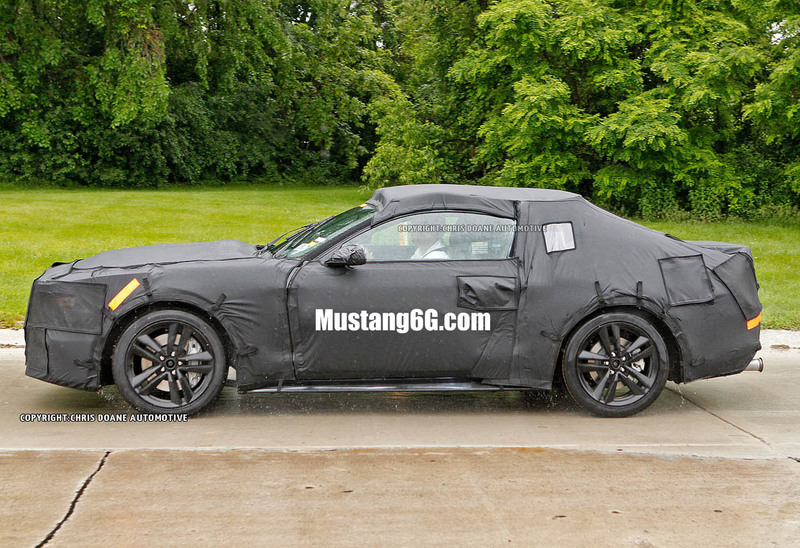 A couple new photos of the 2015 Mustang s550 test mule. 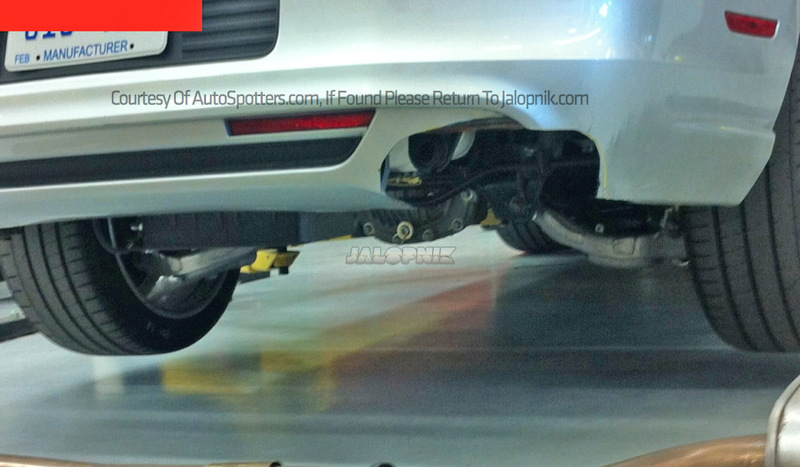 They are not much more revealing than past photos we’ve posted, but an independent rear suspension can clearly be seen again. This is still a 2013 body sitting on a 2015 chassis, with manufacturers plates. This is supposedly of a vehicle being worked on by a company that’s been closely involved with Ford and the Mustang in the past (perhaps a supplier or tuner?). 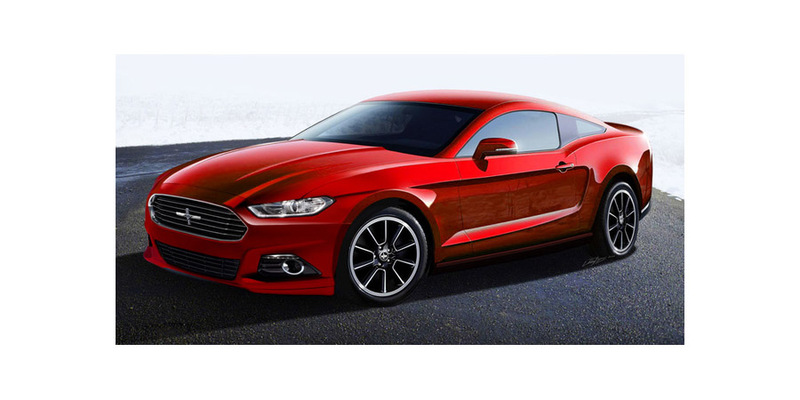 New 2015 Mustang s550 Render – Like or Don’t Like? A new 2015 Mustang s550 render, courtesy of Slacks. What’s your opinion – like or don’t like? 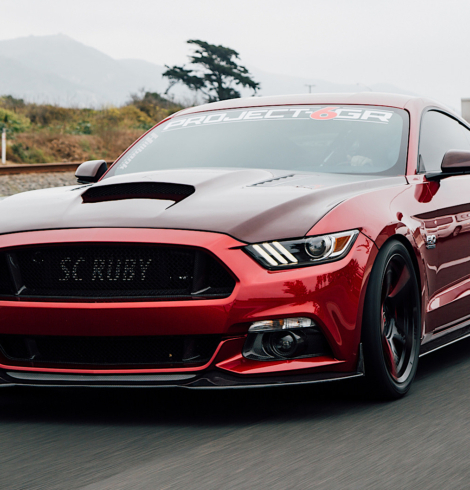 The latest issue (July) of MMFF provides their latest speculations on the 2015 Mustang s550, as well as the render by our site member JohnnyGMachine. The most notable part reads: “Now we’re on the cusp of an all-new S-550 global chassis that will be fitted under the new-generation Stang. There have been many guesses at the styling (you can find dozens of “guesses” on the Internet), and according to our sources, some have been close, but none exact. The 5.0L and IRS is all but confirmed and we expect an interior that will knock your socks off. Will it be smaller and lighter? Sadly, don’t hold your breath, but we hear a power increase is in order and we hear the brakes and handling will be amazing. 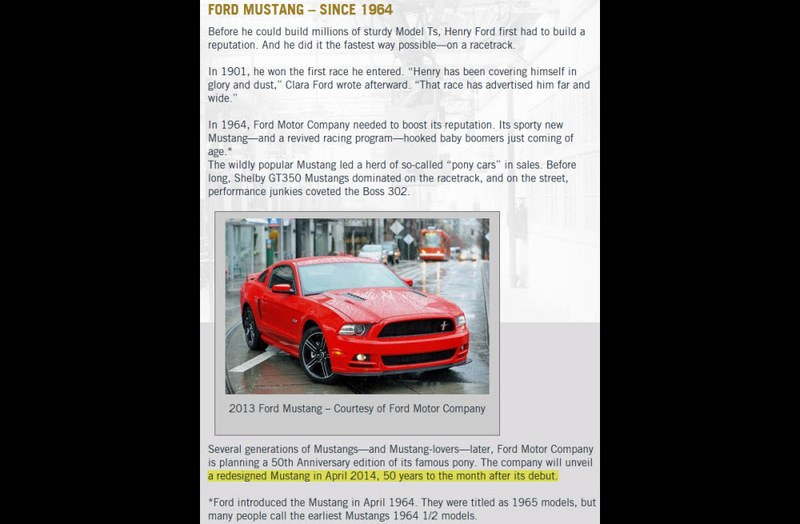 Heny Ford Heritage Association Confirms April 2014 Launch of 2015 Mustang s550? Our very own JohnnyGMachine (John McBride) has given us a sneak peek of his rendering of the 2015 Mustang GT500 concept, and we have to say it is blew us away! He walks us through the evolution of his render from his first gray sketch that appeared on the Muscle Mustangs & Fast Fords Facebook page, to this latest render which will be published in the MM&FF July 2013 Issue. Congratulations to John for that amazing honor! 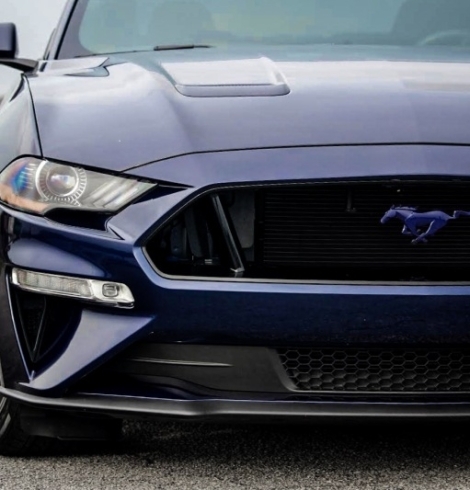 According to a Car & Driver employee from the Michigan area, a Ford insider has leaked information about the 2015 Mustang S550 engine lineup — information about which he posted on 3.7 Mustang forums. The user claims that the next-gen engine lineup will include 3 options. Interesting read on why fast cars are big business for automakers. 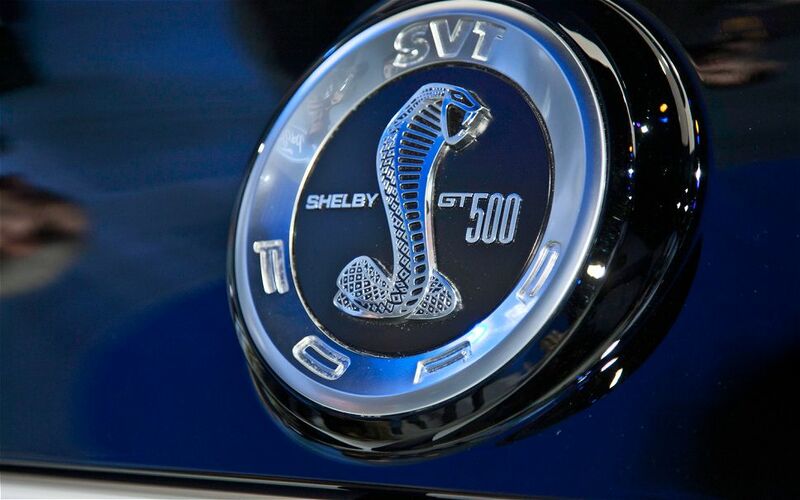 While Ford sells the GT500 halo model in small numbers, cars like it carry a weight in the court of public opinion that goes far beyond their sales numbers – the so called halo effect. Car and Driver previews the 2015 Mustang s550 as one of the 25 cars worth waiting for between 2014-2017. 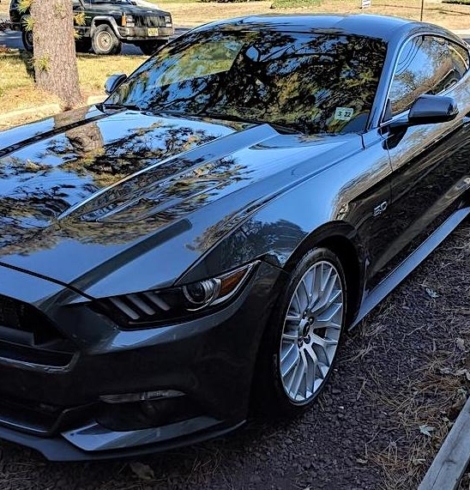 Consistent with most speculation up to date, they believe that the 2015 Mustang will be completely modern in design, dishing its current retro styling. They also believe that the s550 Mustang will receive multiple turbo EcoBoost engines – a 4 cylinder and a V8 5.0L Coyote.